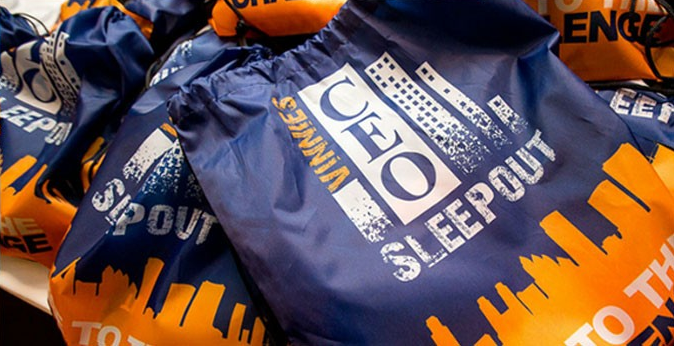 InSite Commercial Interiors’ Project Director, Liam Toporowski braved the winter cold on Thursday 22nd June by taking part in the annual St Vincent De Paul CEO Sleepout at The WACCA in Perth. This event is about a lot more than spending one cold night sleeping on cardboard, in the frost of the winter – it helps support over 105,000 Australians experiencing homelessness and brings the impact of poverty on the lives of over 2.5 million people in our country into the spotlight. With over 1,500 CEO’s Australia Wide participating in this event, $5.6M was raised to assist people in Australia experiencing homelessness in 2017. “The event was well organised to illustrate how thousands of homeless Australians live everyday. It definitely opens your eyes to what life could be like, and encourages you to donate to help make a difference to peoples lives!” – Liam Toporowski, Project Director. We would like to thank and congratulate Liam for being a part of such a worthwhile cause!